Only through the generosity of donors like you can Woodward continue to keep the promise of our Founders, made over a hundred years ago, to provide an education to young women that is "as fine as any other in the state". We are proud of the Woodwards and their foundational gift for this purpose. Please help us sustain Woodward’s important mission. The several ways to donate are provided through the link below, including named scholarships supporting students attending Woodward. 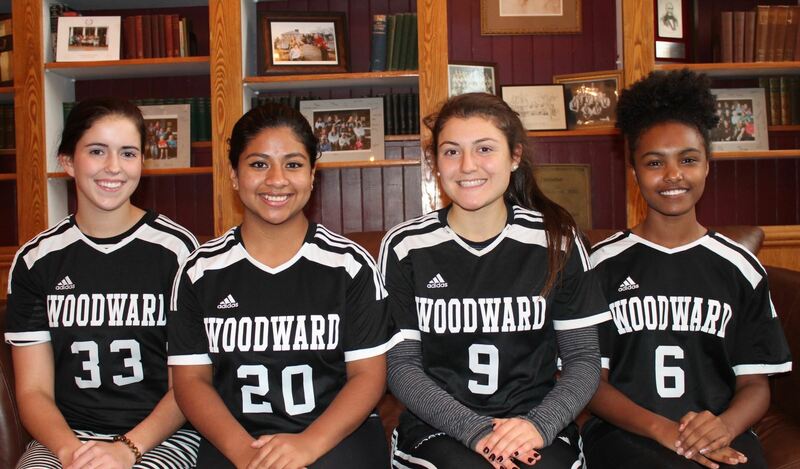 A wonderful way to support Woodward and help it flourish, is to spread the word about The School's excellent mission. 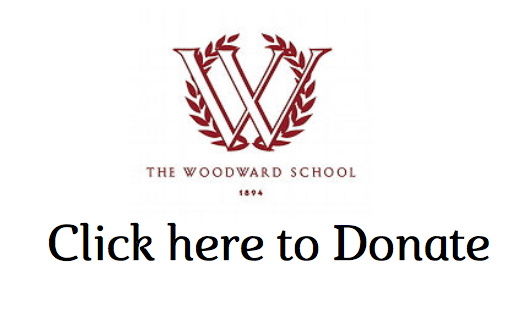 Please share and invite your family and friends to connect with us on social media and through our website - and tell your stories about the transformational experience and benefits of a Woodward education. Thank you! Each year The Woodward School honors two outstanding women to celebrate their accomplishments and contributions to the greater good, at our Woodward Women of Distinction Awards Gala. Please click below to learn more about this inspiring event. Show your Woodward pride with Woodward Gear from LandsEnd. Answer: Contributions may be made online by credit card, by check, or in securities. Click to donate online. To donate by check, please mail to The Woodward School, Attn: Development Office, 1102 Hancock Street, Quincy, MA 02169. How much do I have to give to make a difference? Answer: Every gift is appreciated and makes a difference to Woodward students, whether it's a gift of fifty dollars or several thousand dollars. Does Woodward have a matching gift program? Answer: Yes, you will receive a letter stating your donation for each contribution with appropriate tax information included. Answer: All gifts are tax-deductible. Woodward is a 501(c)(3) non-profit organization, of the Internal Revenue Code. How do I donate properties or securities? Answer: Gifts of appreciated real estate or tangible personal property offer ways to fulfill pledges. A variety of options are available; each can offer tax advantages to the donor, and some provide for lifetime occupancy rights, or income, as well. Woodward must determine if gifts of real estate or personal property are appropriate for the School before they can be accepted. How do I donate through estate planning? Answer: The Heritage Society - A highly regarded Quincy physician, Dr. Ebenezer Woodward who died in 1869, left his estate to establish a school for Quincy-born girls. Established in 1998, Heritage Society honors individuals who have included The Woodward School for Girls in their estate plans. A "planned gift" is any charitable gift, current or deferred, that is planned, usually with professional advice, to optimize a donor's financial, tax, and estate plans while helping to secure the long-term financial security of one or more recipient charitable institutions. Feel free to browse here to find out more about various planned giving opportunities for Woodward donors. Among the various forms of planned gifts that are recognized by membership in the Heritage Society are bequests, gifts of life insurance, property or tangible assets, charitable lead trusts, and charitable remainder trusts. Bequests enable donors to make substantial gifts to the School through their estate. Woodward receives the gift upon the donor’s death. The most common types of assets used to make a bequest are cash, securities, real estate and personal property. Bequests are used to support the endowment unless otherwise specified. Donors might consider assigning their present life insurance policy to The Woodward School. You may also designate the School as the sole beneficiary of the policy, retaining the right to change the beneficiary. Donors of charitable lead trusts transfer assets to an independent trustee for a specified term, during which time Woodward receives a fixed percentage of the trust assets as income. At the end of the specified term, the principal returns to the donor or donor specified beneficiaries. A CLT can be established with cash, bonds, listed securities, closely held stock or income-producing real estate. Charitable remainder trusts are advisable for donors who wish to make life income gifts with greater control and flexibility of trust management. Charitable remainder trusts provide income for a specified term. When the trust expires, the principal is available to Woodward. The donor is entitled to a charitable deduction at the time the trust is created; no capital gains tax is imposed on the donation of appreciated securities and the gift reduces the size of the taxable estate. There are two types of charitable remainder trusts. A unitrust pays a percentage of the fair market value of the trust's assets as revalued each year. An annuity trust pays a fixed income amount each year. Most assets can be used to set up the trust, including stock, cash and real estate. The donor has flexibility in the choice of trustee and investment decisions.